In recent years there has been increasing discontent with the abstract nature of mainstream economics. Not only does this make the subject less relevant to real issues, it drives a wedge between economics and other disciplines ostensibly addressing the same issues. 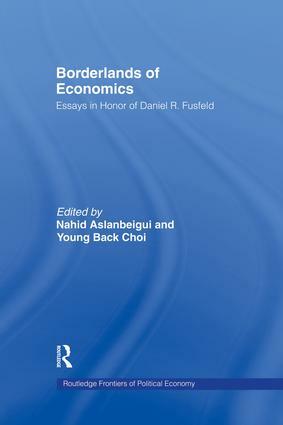 Borderlands of Economics explores the ways in which economics might be reconnected, both with the real world and with other disciplines.